This game supports English, French, Italian, and Spanish. Download the manual for this game by locating the game on http://marketplace.xbox.com and selecting “See Game Manual". 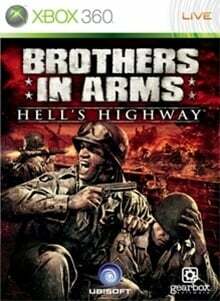 Delivering on the franchise's compelling story, unrivalled authenticity and intense squad-based action, Brothers in Arms® Hell's Highway drops you into the largest WWII airborne operation: Operation Market Garden. The Allies were fresh from their victory at Normandy and had a simple plan to get some trucks up a highway and be home by Christmas. But it didn't happen as planned. There are no refunds for this item. For more information, see www.xbox.com/live/accounts.